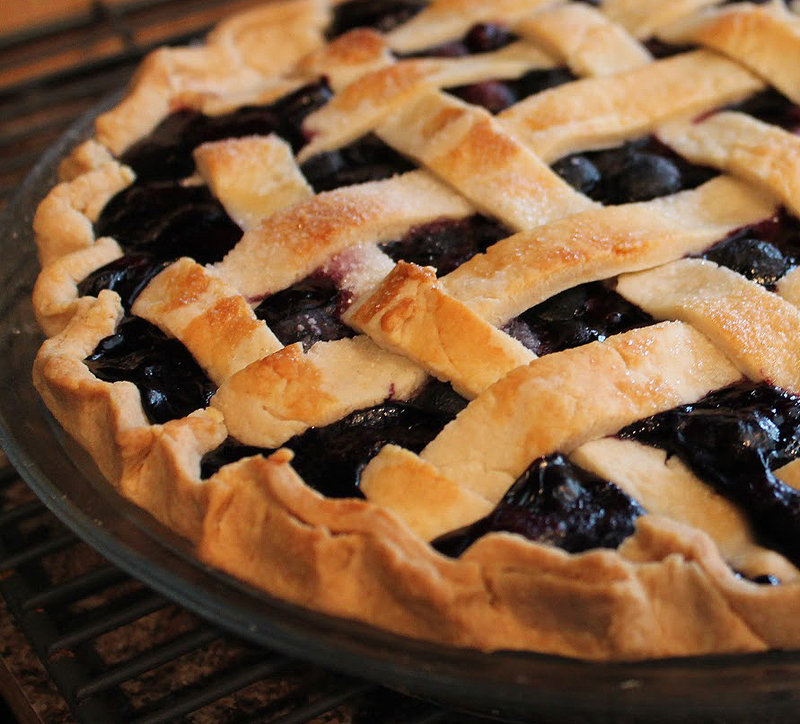 Convey your sweet wishes to dad on Father's Day by making him a tasty Blueberry Pie at home using these step-by-step instructions. 1) Frozen blueberries - 3 cups. 2) Cornstarch - 1 tbsp. 3) Cinnamon - 1/4 tsp, grounded. 4) Water - 2/3 cup. 5) Lemon juice - 2 tsp. 6) Baked pie crust - 1. 7) Sugar - 1/3 cup. 8) Salt - 1/4 tsp. 1) Wash the blueberries and keep them in a mixing bowl. 2) Add in cornstarch, cinnamon, sugar and salt. Mix these well with the blueberries. 3) Pour in the lemon juice and water. Stir the mixture well. 4) Lay the berries in the pie shell. Spread these evenly. 5) Place the mixture uncovered in a bowl over the microwave tray. Heat it at 375 degree F for about an hour. 6) Transfer the mixture to refrigerator and chill for an hour or two. 7) Take out the blueberries, top with sour cream and you have your Blueberry Pie ready. Prepare special Rose mousse especially for your Dad so that he feels special and wanted. Go through the simple steps enlisted below and proceed as per the suggestions. You will surely attain success in preparing this special dish and hence enthral your Dad. If you feel the listed suggestion helped you to the core, make sure refer this simple recipe to your friends as well so that they can prepare this simple recipe with ease and captivate their Dads taste buds as well. This is yummy and easy to prepare as well. Do this rich rose mousse for your dad. He loves it for sure. It can be taken either as a dish itself. Or, can be taken as a dessert after a full course dinner. Place the rose water in a small heatproof bowl. Sprinkle the gelatin over and set aside for 15 minutes, until the gelatin is spongy. Stand the bowl in hot water and stir until the gelatin has completely dissolved. Place the egg yolk, superfine sugar and vanilla extract in a bowl over a saucepan of hot water and beat until thick and very pale. Remove the bowl from the pan, beat until cooled slightly, then stir in the gelatin. Stir in coloring, if liked. Whip the cream until it stands in soft peaks, then fold it into the mousse mixture. Whisk the egg whites until they stand in stiff peaks, and fold into the mousse. Pour the mixture into 6 glasses or glass dishes and chill for several hours. 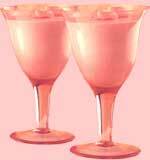 Serve the mousse with frosted roses or rose petals in a stemmed glass. Once done it will be a great treat for your dad.